Join the discussion on our forums! 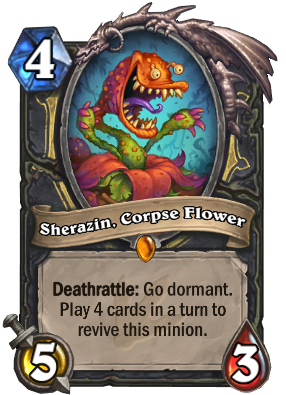 Come discuss Sherazin, Corpse Flower over in our dedicated Sherazin, Corpse Flower discussion topic. She's called sherazin because when you play four cards in one turn she-razin' from the dead. The revive animation is super good but I wished it is shorter. It's taking too much of a turn. Tell me what happens, when you fill your board with Sherazins. Personal experience. This card shows just how bad the community is at evaluating legendaries. People who says this card is bad or just meh doesn't play miracle rogue or are just bad with it. Is totally a really good card, might as well be meta defining because of his unique effect. This card is insane vs control (and also vs aggro) decks , i love it but cant be a Meta-Defining beacause its a class card , for example imho elise trailblazer is a Meta-Defining card or leeroy , alextrasza , yogg etc , but a class card cant define a meta. 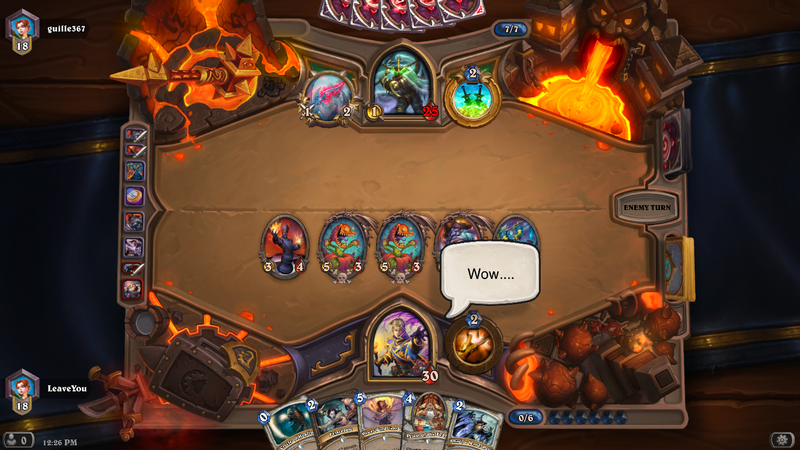 It can probably only if its played in a mage deck because of all mage in the ladder. Thats only a my opinion. Sorry for bad english. Seriously underrated. It's not that hard to do four cards in a turn in miracle rogue, and you can usually revive this guy at least twice. Decided to craft him over Edwin for my miracle rogue and I think I made the right choice. Edwin can be really easily removed, but this guy stays. In the end, both suffer from silence or an enpty hand. I love the card but I hate it`s desing, if open one or craft it I`ll play Miracle Rogue for the first time. I was thinking that maybe Sherazin is great to teach you how to play Miracle: learning when to hold and when to burst. 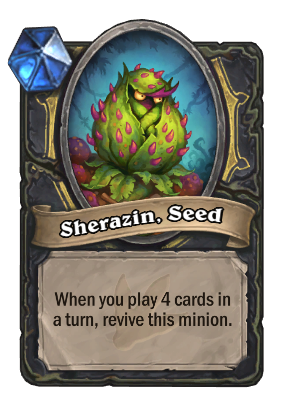 Ideally, to be effective Sherazin should be revived a couple of times by playing normal Miracle strategy. If you revive her too often, you spend cards unefficiently and lose nonetheless, if you revive her only rarely, it means you are not really playing Miracle strategy. Does this card on dormant mode stay on the board when it loses on brawl?